The Cessna CitationJet/CJ series (Model 525) are American turbofan-powered light corporate jets built by the Cessna Aircraft Company in Wichita, Kansas. The Citation brand of business jets encompasses seven distinct "families" of aircraft. The Model 525 CitationJet was the basis for one of these families, which encompasses the CJ, CJ1, CJ1+, CJ2, CJ2+, CJ3, and CJ4 models. The Cessna Citation CJ3 (Model 525B) is part of the Citation business jet family. It is a stretch extension of the CJ2, which itself was a stretch of the CJ1. 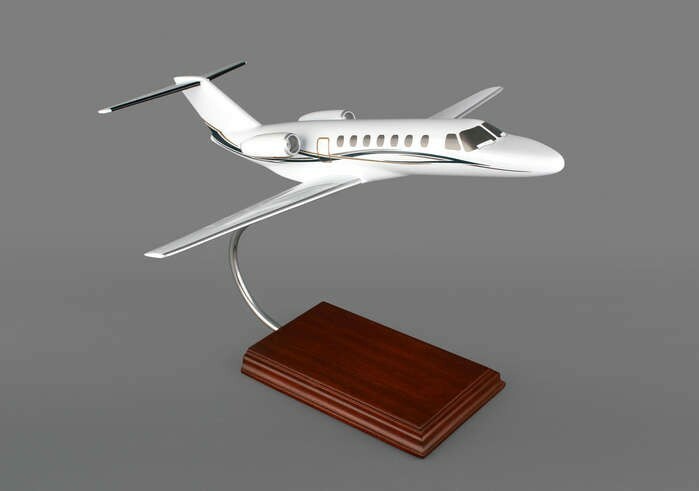 The aircraft was unveiled in September 2002 at the National Business Aviation Association (NBAA) convention. It took its first and second flight on the same day on April 17, 2003. It was FAA certified in October 2004 and delivery of the CJ3 began in December of that year.